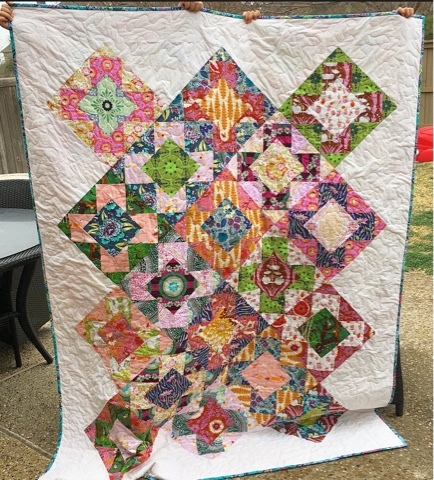 Today I am happy to get to show you my recent finish of the Vera Quilt. 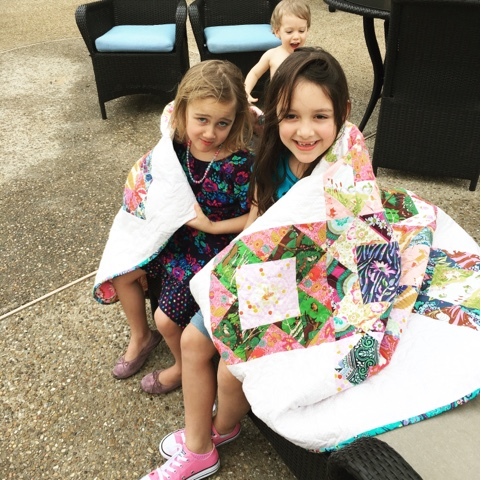 I always love the opportunity to get to test for Rebecca Bryan of Bryan House Quilts. The quilt is a throw-sized (56" x 72") and came together very quickly. Everything was sewn on the bias, which made it pretty easy to get most of the points to match up nicely. Near the end, however, I did have to get out my seam ripper because the straight borders sewn on the bias triangles required extra attention. 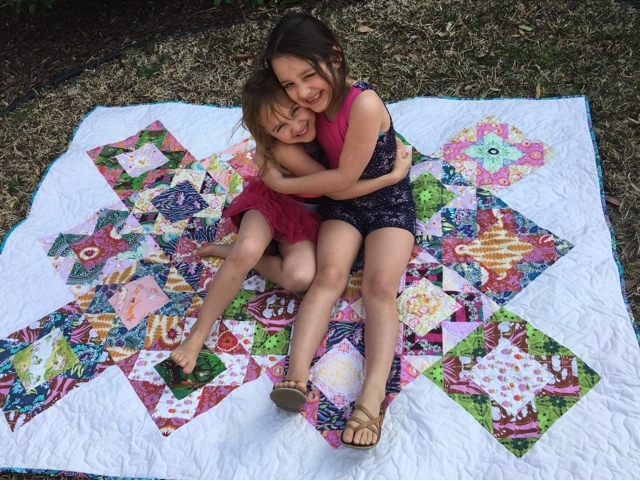 This pattern is perfect for large scraps and fat quarters. 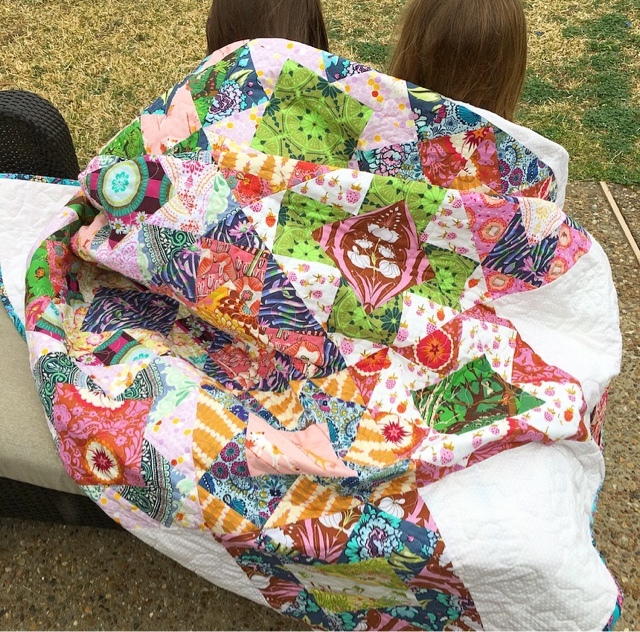 It was such a great stash buster to highlight some of my favorite fabrics. The name "Vera" means faith in Russian. Vera is also associated with the Latin word versus, which is where we get the word "veracity." Veracity means conforming to facts, truth, or accuracy. There is so much I could say about faith or truth, but instead, I would like to share with you two passages in Proverbs that have just captivated me over the past few weeks. I have dwelt on these words, chewed them up, and rehashed them over and over in my head, letting them soak into me and help me through my day. Proverbs 3:3-8 (AMP) "Do not let mercy and kindness and truth leave you [instead let these qualities define you]; Bind them [securely] around your neck, Write them on the tablet of your heart. So find favor and high esteem in the sight of God and man. Trust in and rely confidently on the Lord with all your heart and do not rely on your own insight or understanding. In all your ways know and acknowledge and recognize Him, and He will make your paths straight and smooth [removing obstacles that block your way]. Seek his way in all you do, and he will show you which pay to take." Wouldn't it be so amazing to have a life defined by mercy, kindness, and truth? These attributes are part of who God is. Allowing mercy, kindness, and truth to define you, allows God to guide you. And, oh, His guidance is good. Proverbs 4:18, 19 "The way of the righteous is like the morning sun which shines brighter and brighter until the full light of day. But the way of the wicked is like total darkness. They have no idea what they are stumbling over." 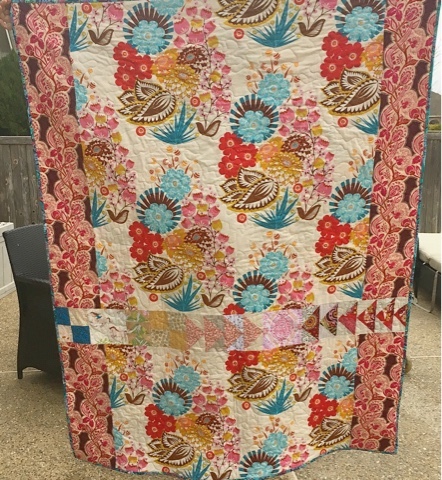 Beautiful quilt and words - as always!